Vernon’s Water Store located in the Vernon Square Mall is truly a one-stop-shop for everything! By offering natural products like farm fresh eggs, olive oil, preserves, Smokey Pete’s maple flavoured sockeye (yum!) and greeting cards by local artists, our valued customers have an array of healthy, one-of-a-kind local products to choose from. James Macdonald and his family have been producing artisanal local wildflower honey for over thirty years. Armstrong Apiaries Honey has won many awards over the years, including the prestigious Premier Exhibitor’s Award Silver Tea Service. Perfect for smoothies with cinnamon, deserts toppings and pancakes, we carry a selection of this locally famous honey just for you. We are proud to retail Acadian Maple Syrup at our store to sweeten your day! Acadian Maple Syrup is sourced from the highest quality maple syrup produced in the Nova Scotian highlands. As a wild crafted product, our pure maple syrup acquires the flavour and aromas of the surrounding natural environment. Maple syrup contains natural antioxidants reported to have anti-cancer, anti-bacterial and anti-inflammatory compounds. The nutrients found in pure maple syrup include zinc, potassium, manganese, thiamine, calcium, iron, magnesium and riboflavin. We are all about maintaining a healthy and positive lifestyle. Stock up on our selection of specialty vinegars made by a local entrepreneur in Armstrong. Balsamic vinegar kills bacteria and fungus, lowers blood sugar levels to fight diabetes and helps you lose weight. Create your own salad dressing, or design a Mediterranean-inspired meal. A simple vinaigrette recipe is 3 tablespoons of Sapori Olive Oil, 1 tablespoon of our balsamic vinegar, a pinch of pink Himalayan salt and a turn of freshly ground pepper. Enjoy! We are proud to offer Sapori brand olive oil at our store! Sapori manufactures first cold press, extra virgin olive oils, offered in several flavours including basil, Italian herb and oregano. The health benefits of olive oil are extensive, and include the prevention of skin cancer and the anti-aging antioxidants beta-carotene and vitamin E.
Check out our collection of greeting cards. Greeting cards are the perfect way to celebrate every occasion, or just say thank you! Local card illustrators include Donna Fazan (Okanagan Images), Nancy Vince and Leila Ward (Okanagan Eye). Nancy lives in Coldstream and began her artistic career with acrylic paints that progressed to Zen Doodling. Leila’s early childhood photos show her happily drawing. Her colourful images are inspired by nature and she lives right here in Vernon BC. 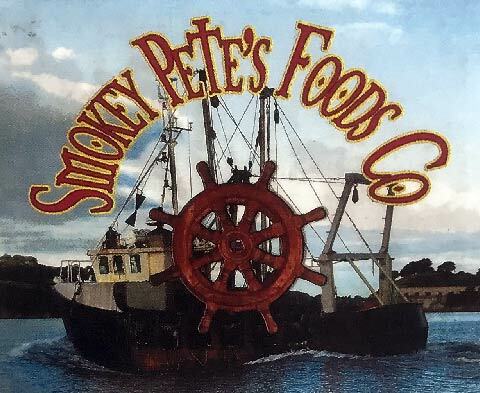 From the Smokey Pete’s Foods Company, we offer packaged, frozen wild sockeye that stays fresh in your fridge for up to a month. But, we guarantee once you taste these maple salmon nuggets, they won’t last that long. These Smokey Pete treats are perfect appetizers for dinner parties, or for topping fresh salads. Add one more service to our list! Give Ray a call if you need specialty sharpening. Ray sharpens carbide and steel saws, hand saws, router and drill bits, knives, scissors, chisels, planer and chipper knives. Need your professional knives sharpened for your restaurant? Sharp blades are more efficient and safer, whether used for commercial or residential kitchens. Come on in to our store location in the Vernon Square Mall. We would love to meet you. If you have any questions regarding our products or services, give us a call. We are open from 9 am to 6 pm Monday to Saturday.